We need YOUR help to make the Reading Public Museum Henrietta’s permanent home. 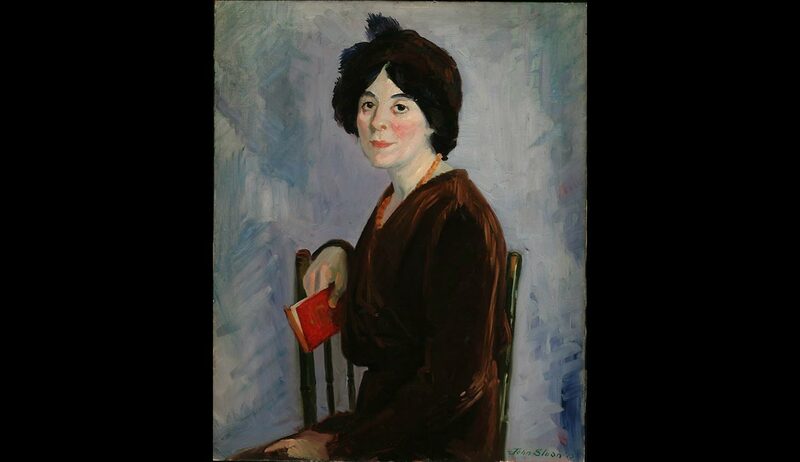 The Museum is looking for the community’s help to raise $50,000 to purchase the oil painting, Henrietta with Red Book, by John Sloan to add to the permanent collection. Why Henrietta? Here are just a FEW reasons of why we NEED her! 1. The Museum currently has four etchings by John Sloan, but no oil painting. 3. This early work reflects the artist’s experimentation in color in the 19-teens. ***As a thank you for your support and help to secure Henrietta for The Museum's permanent collection, if the campaign is successful you will receive a gift for donating at the following levels! There are a few ways to make your generous donation — by visiting our Crowdrise page, dropping off at the admissions desk, mailing with attention to Henrietta, or over the phone by calling Lidsay at 610.371.5850 x230.